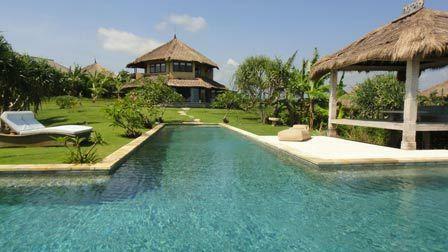 The two-bedroom, two-storey Villa 3337 is octagonal in shape with an alang alang thatched roof. It boasts a beautiful open plan living and dining room, which integrates a kitchen. Here funky floors and walls present myriad textures incorporating stacked slate, stones, mosaic tiles, and numerous sofas, ottomans and a rustic dining table. 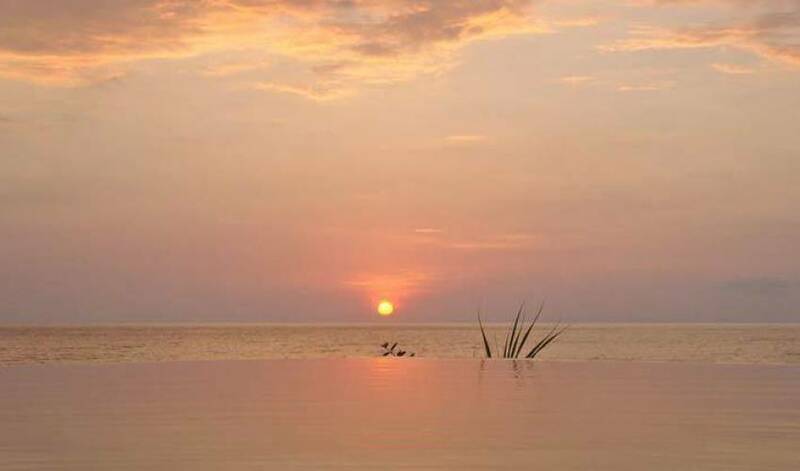 The master bedroom and ensuite bathroom cover the rest of the upper floor,with panoramic views all round. 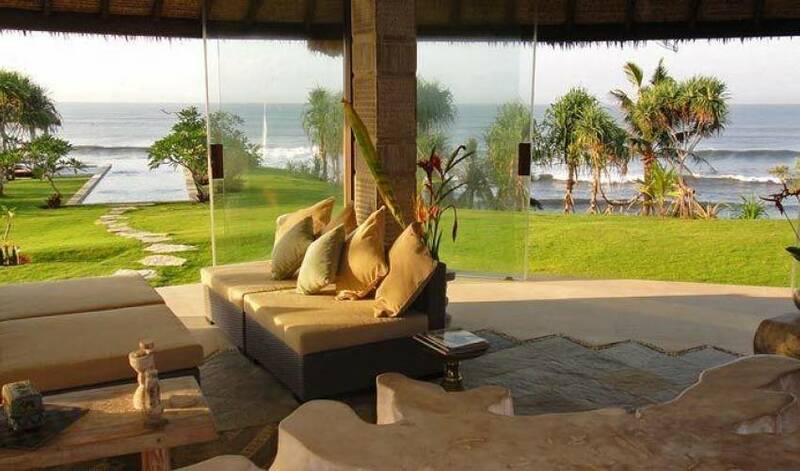 The bedroom is furnished with a king bed, a Timorese carved desk and a sofa. There is a small balcony to one side, which is a delightful spot for relaxing and catching the cool breezes. 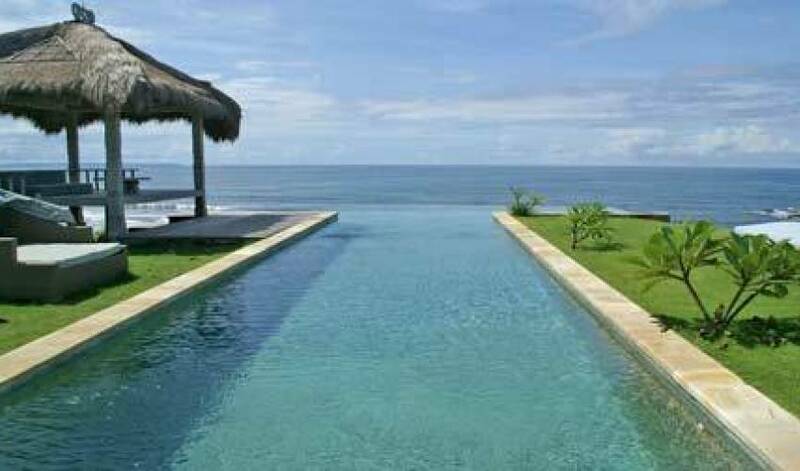 The garden extends to the cliff edge with a fabulous 20-metre T-shaped infinity swimming pool that appears to overflow into the ocean. 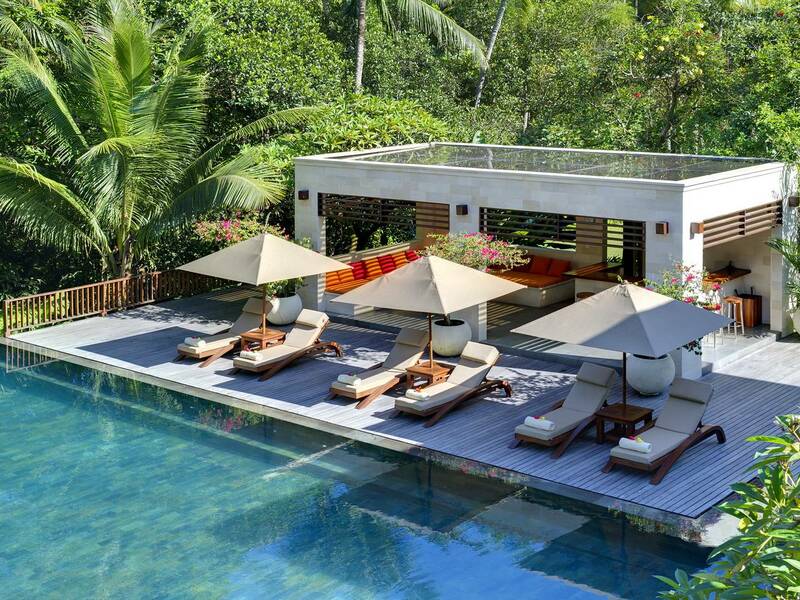 A bale relaxation pavilion rests to one side. 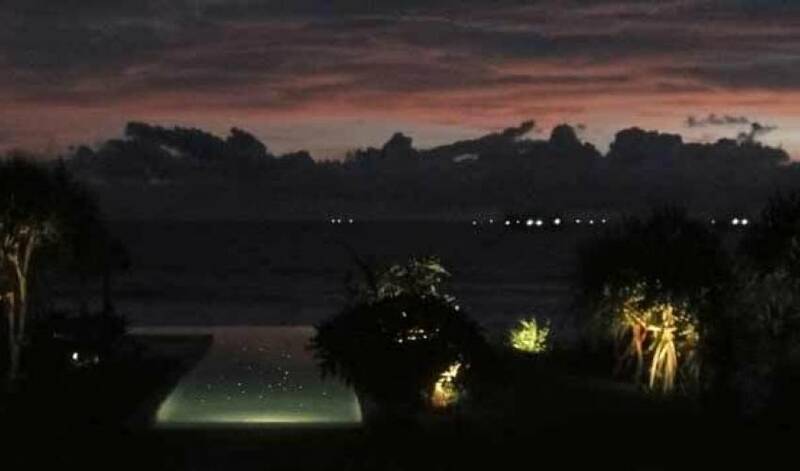 At night the pool is lit by fibre optic lights reminiscent of the stars, the Javanese fishing boats on the horizon. 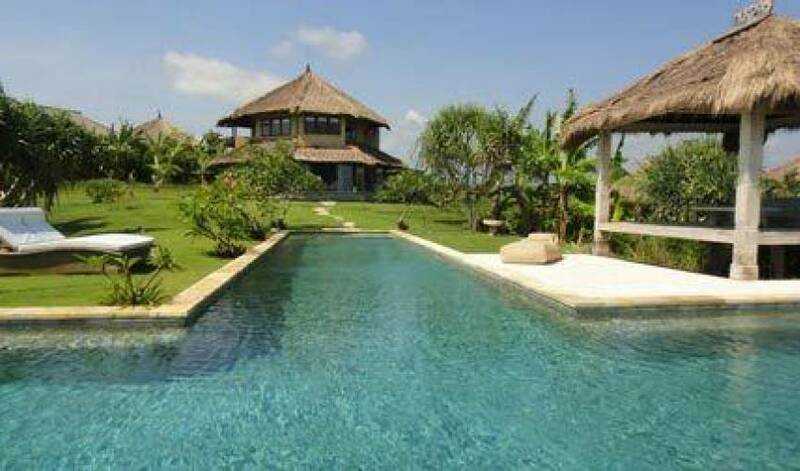 Villa 3337 are located on Bali's west coast, in the Tabanan Regency. 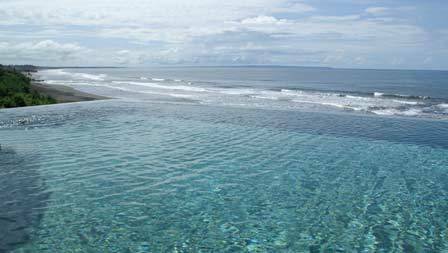 The coastline presents isolated coves and rocky outcrops, and is famous for its surf beaches, including Medewi and Balian, which offer the longest point breaks in Bali. 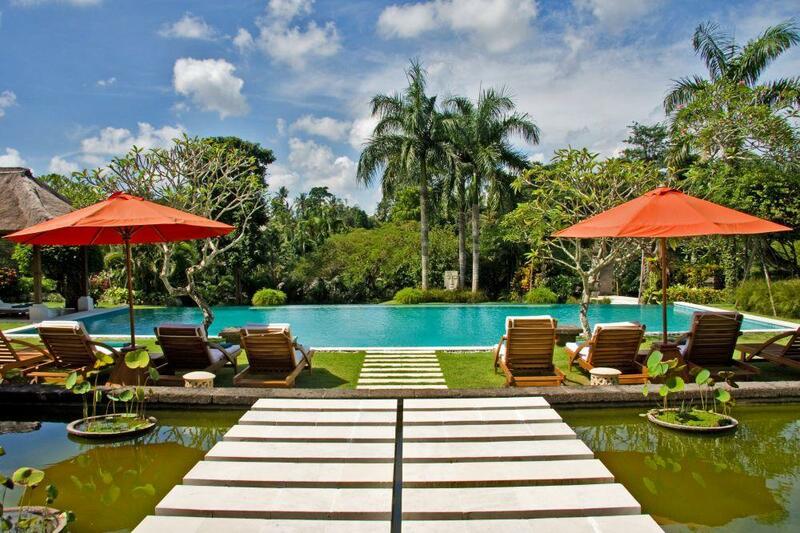 The Regency is known as Bali's ‘rice bowl' - the most agriculturally productive region in Bali. 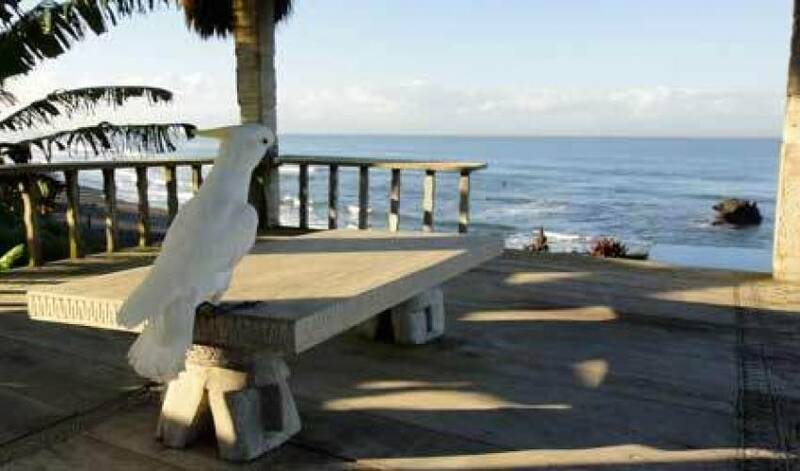 Besides rice, there are crops of coconuts, coffee, cacao, spices and tropical fruits. This area is also home to the 2276-metre Mt Batukau, the higher slopes of which are alpine with mountain streams, ferns, wildflowers, creepers and orchids, as well as the rare, black leaf-eating monkey, the kijang (small forest deer), large butterflies and moths, flying lizards, and the lubak (mongoose). 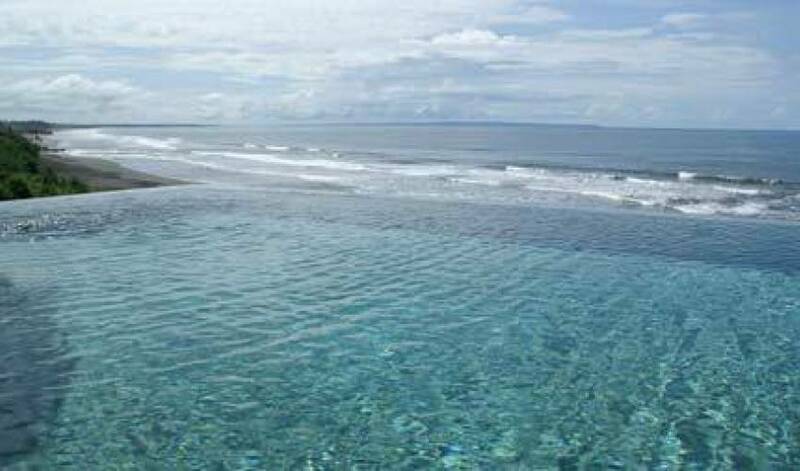 It is also a bird watchers' paradise, habitat of the Bali Black Eagle. 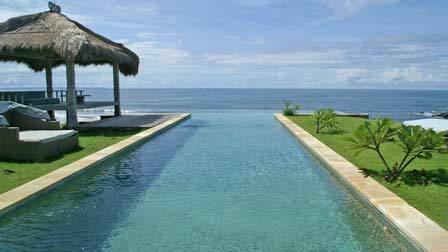 Depending on the traffic, the villa is 1.5 - 2 hours' drive from Bali's international airport and 60 - 90 minutes' drive from trendy Seminyak with its exciting nightlife and abundance of fashion boutiques, luxurious spas, and internationally acclaimed restaurants.